WALTER RUTHERFORD & A.J. 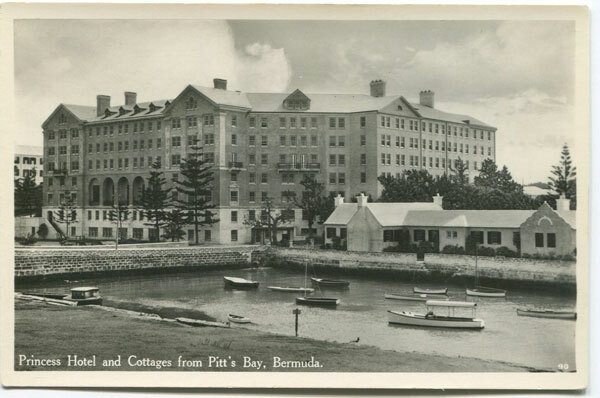 GORMAN - Princess Hotel and Cottages from Pitt's Bay, Bermuda. No 90 Old Bermuda real photo postcard, circa 1935, fine unused.